Previous: Previous post: Last Call for Unleashed Summit! So you’re a business owner or executive and you want to handle a crisis with ineptitude and enrage your important business partners, all your employees, and your target audience, right? 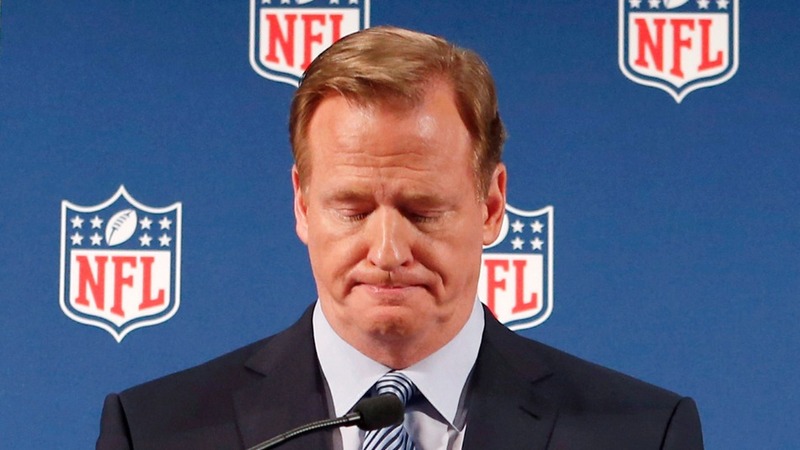 Then study today’s press conference by NFL Commissioner, Roger Goodell. I’ve been a huge football fan and followed the sport since 1974 when I was 9 years old. Over the decades, we’ve all witnessed crises occur for what has become the premier sport in the United States. Never have we witnessed the erosion of trust that has happened only in the past few months, with a climax of a fiasco such as today. I have no doubts Roger Goodell is a smart guy. He just didn’t show it today. Start 15 minutes late. Really? You set the press conference. Show up on time. Not a good way to start. The opening statement was as obvious as a ham sandwich. We could have all probably written it ourselves. Instead, make a brief (3 minutes) statement apologizing for past errors of judgement and open it up for questions. Keep referring to your past statements. The commissioner answered almost every questions with, “As I just stated,” or “As I’ve said before…” Here’s the deal, Roger. You lost your right to fall back on past comments. You need to just keep answering what you have in front of you. Be the ultimate spin doctor. One journalist asked about the comparison to his ruling on New Orleans Saints Head Coach Sean Payton after the infamous “Bounty Gate” scandal. Goodell blasted Payton for lack of control and suspended him for a year. When his lack of control was called into question, he began spinning like a Wolfman Jack in his prime, by not only avoiding any comments about the Saints and Payton (which was the question), and again explaining that he was going to fix everything. Deny, deny, deny. When asked about the report that the Atlantic City hotel confirmed that they were never asked for the video in the elevator by the NFL, Goodell said they had tried several times. So let me get this straight, the NFL says it asked on multiple occasions and was shot down. The hotel says they were never asked. The TMZ reporter in the crowd said they got it with one request. Someone’s lying. It’s clear, yet Goodell simply skirted the issue. Avoid clearing up conflict of interest questions. Rachel Nichols of CNN is really good at her job. She asked about the independent investigation that appears to have more bedfellows than Wilt Chamberlain on a good night back in the day. She drew a correlation about conflict of interest with owners and law firms. Instead of hitting that straight on, Goodell seemed outraged that Nichols would call into question the integrity of a former FBI chief. Show them you’re sweating. Speaking of Nichols, she really got under the Commish’s skin (which seems to be getting thinner by the day). You could tell his anger simply by his facial expression. You could also hear it in his voice when he tersely repeated her name, Rachel, when addressing her. I’m thinking there’s not going to be a Christmas basket sent from him to her this year. Heck, throw in a clown from the Howard Stern show that makes a scene right in the middle of the press conference and is dragged away screaming “Not the elevator…don’t take me to the elevator!” (Mocking the ray Rice elevator incident) and you have the makings of a huge calamity. That was a nice scene…NFL bouncers dragging someone away in front of the nation. Crisis communications is critical after a catastrophe. Ask former BP CEO Tony Hayward who publicly exclaimed that he only wanted to “get my life back” after the Gulf oil spill. He is toiling somewhere in Siberia now and it took BP years to regain its reputation. This press conference (Goodell was silent for the past 2 weeks, other than a CBS News interview) was a great opportunity to fix some real problems. Unfortunately, Mr. Goodell’s performance only exacerbated them. Football pundits and NFL players on Twitter widely panned it. The results are exploding in real time across social media platforms and television. Crisis communications mean everything when it comes to protecting your reputation and brand. Your employees, your supply chain, your business partners, investors, and community count on you to respond quickly, be candid, admit mistakes, and express a plan. Although Commissioner Goodell did do some of those things, his ability to respond to questions with empathy and believability have deeply damaged his credibility. It will be interesting to see if he can survive this. In your business, you may not have the same chance. Spot-on where all points are concerned, Dan. As someone who is seriously suffering from “scandal fatigue” in the NFL and just wants to see a football game, it is nice to see someone bypassing the rumors and speculations and instead getting to the heart of how this is beng handled. Thank you once again for a refreshing point of view on issues that are relevant right now and applying them to every-day life at the office and even at home in a lot of ways.